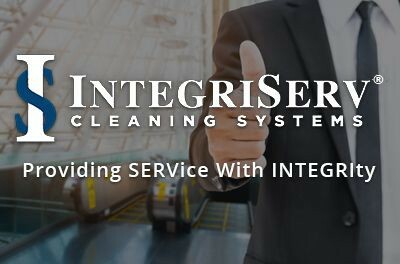 The IntegriServ Cleaning Systems® concept has been well-tested in Ohio for over 20 years, and we share our journey with those franchise business owners. Our success is dependent upon their success. Simply put, we are a team. We focus on thorough and comprehensive training, routine follow-up, and consistent communication. We are actively involved in coaching our franchisees, and engaging in regular communication with our clients so that we, as an organization, are always working towards achieving customer satisfaction – and hence the success of the franchisee’s business. Our customers drive our partnerships. We appeal to customers that place a value on the appearance of their facilities and the quality of their relationships. 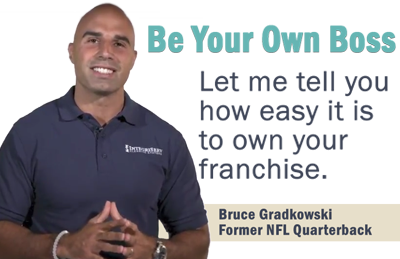 We provide individuals with the opportunity to own their own franchise business and enjoy the benefits of just focusing on customers. Quality is no accident. Our IntegriServ-Clean® system holds the cleaning team, and our staff accountable for meeting our customer’s needs. It is the mission of our business to be a profitable builder of self-sufficient, independent commercial cleaning business owners. These franchisee business owners will be responsible for profitably achieving customer satisfaction while helping those customers to achieve their own objectives. In support of achieving this, we will coach and mentor franchisees and all employees to become all that they can be. Quickly disposing of trash and wiping surfaces with little thought to disinfection does not deliver a healthy environment. Absence of professional cleaning skills with outdated equipment and tools produces inconsistent cleaning. IntegriServ Franchisees are small business owners who live in your neighborhoods, work in your communities, hire local staff, and know their customers. vs Who's In Your Building? Some large janitorial companies may have easily recognized names; however, who has your keys and is actually in your building every night? IntegriServ is headquartered locally, allowing our skilled team to quickly assist customers and provide support to our franchise team. vs Assistance Coming From Where? With support staff outside your local area, expect longer response times on critical issues when you need attention the most. Buildings vary and everyone's needs are different... there's no reason to have one standard service plan to fit all customers. Failing to perform special work may result in damage requiring replacement of floors and carpets, a very costly alternative. Own your own Home-Based Commercial Cleaning Franchise Now!